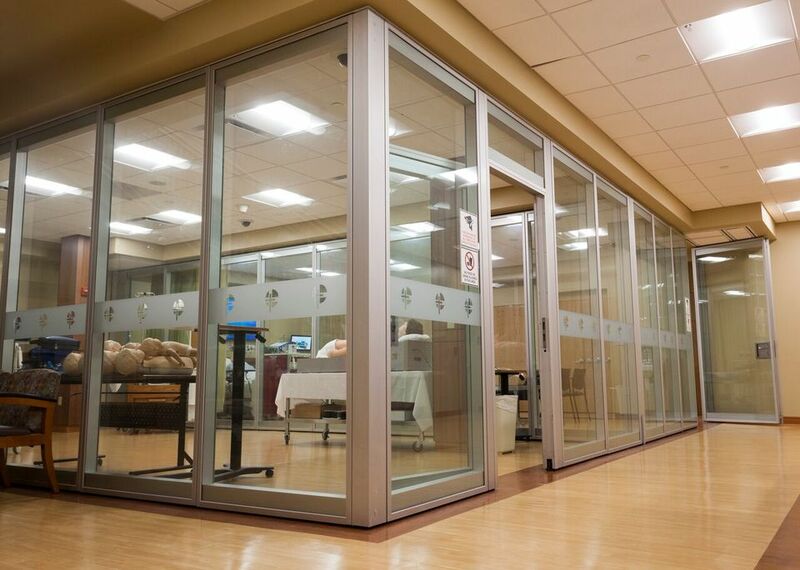 Jim Fisher, whose teenage son, Sean, collapsed and died on a football field after going into sudden cardiac arrest, the result of an undetected heart defect, stood inside Saint Peter’s University Hospital’s state-of-the-art simulation center in New Brunswick. An easel displaying four oversized color pictures of Sean, who died on his 13th birthday in August 2008, created a heart-touching backdrop as Fisher, a resident of Waldwick in Bergen County, spoke to members of the media about the Sean Fisher Memorial Foundation’s latest mission. 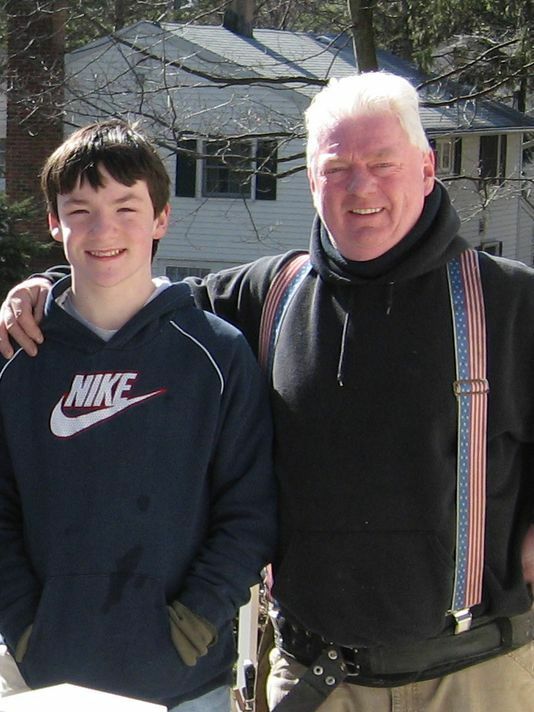 A tough-as-nails union carpenter, Fisher, with tears welling in his eyes, explained that cardiac screenings — providing free ones was initially the primary goal of the foundation established in his son’s name — are not enough to prevent sudden cardiac death in athletes. According to the American Heart Association, the incidence of such deaths is one in 200,000, but Dr. Nidhi Kumar, a cardiologist and Medical Director of Women’s Health at Saint Peter’s University Hospital, said many experts believe the incidence is greater, making the need for rapid response and the availability of automated external defibrillators paramount. While state law requires all public and private K through 12 schools in New Jersey to have an AED within reasonable proximity of a gymnasium or athletic field, as well as an emergency action plan for sudden cardiac arrest, no such legislation exists for youth leagues. Youth leagues are not mandated to have an AED on site and less than 30 percent of youth league coaches are trained in cardiopulmonary resuscitation (CPR), according to a Sports & Fitness Industry Association and Aspen Institute report, the results of which appeared in the Washington Post. Fisher, in concert with the Players Development Academy, a nationally recognized elite soccer club headquartered in Somerset, is trying to change that statistic starting with a grassroots effort in the Saint Peter’s University Hospital’s simulation center, where more than 80 coaches from PDA will receive training in CPR and AED use before the start of the spring season. The initiative is part of the All Heart program, whose goal is to educate coaches and leaders of youth sports leagues nationwide about the need to be trained to handle a sudden cardiac arrest emergency, which results from an electrical disturbance in the heart that compromises its ability to pump blood to vital organs. Without immediate treatment, through CPR and defibrillation, death ensues. 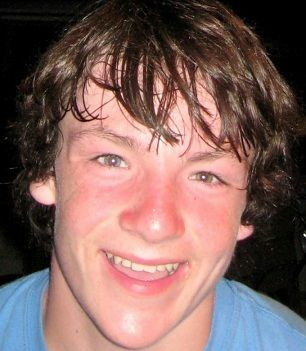 Sean Fisher, who was about to enter eighth grade, collapsed on the field while warming up with his Waldwick recreation football league teammates on Aug. 25, 2008. According to a report in the Star Ledger, a parent certified as an emergency medical technician who was nearby tended to Sean Fisher, pulling off his helmet to find him gasping for air. The EMT administered CPR. Waldwick police and paramedics arrived and used a defibrillator before taking Sean Fisher to Valley Hospital in Ridgewood, where the 13-year-old was pronounced dead. 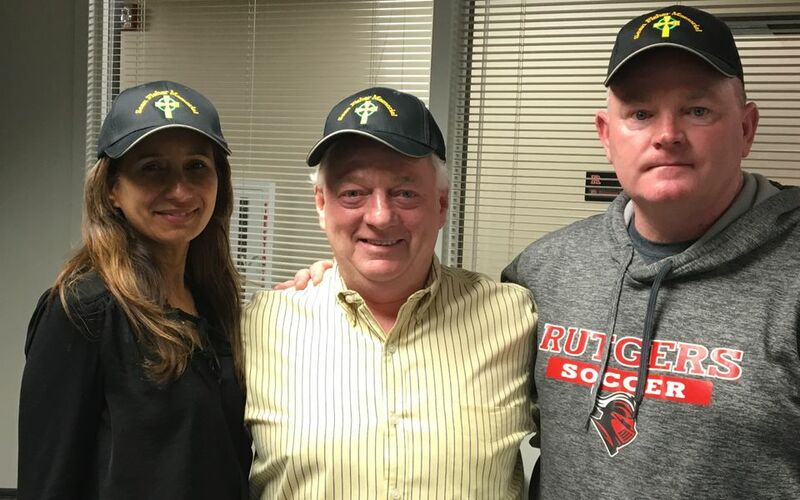 In his dual role as Rutgers University’s women’s soccer coach and PDA’s director of girls coaching, Mike O’Neill, a lifelong friend of Fisher, served as the lynchpin between the Sean Fisher Memorial Foundation, PDA, Kumar and Saint Peter’s University Hospital, which previously worked with O’Neill’s players on other community initiatives. 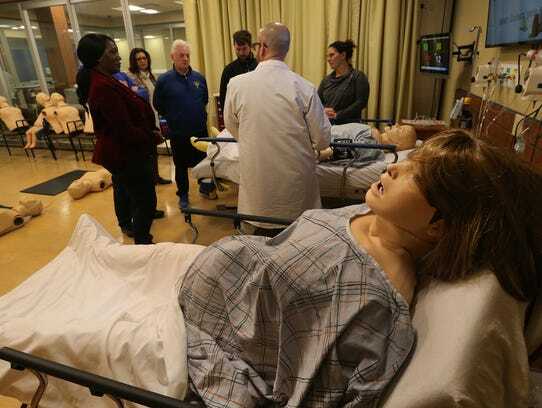 On Wednesday night, three PDA coaches received intensive hands-on CPR and AED training in the Saint Peter’s University Hospital simulation center, where the coaches earned the American Heart Association’s Basic Life Support certification. Training in the simulation center, which is open to all youth leagues and individual youth sport coaches, costs $100 per coach. Kumar said Saint Peter’s University Hospital does not want the fee to be a deterrent, and is willing to work with youth leagues and individual coaches to ensure they can receive training. 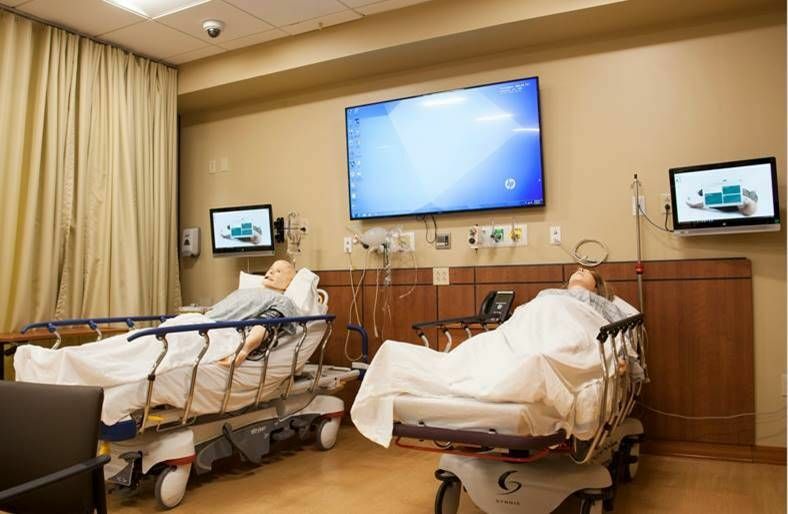 Leagues and individual coaches can register for the training session by contacting simulation center coordinator James Spaulding via email (simlab@saintpetersuh.com) or phone (732-745-8600, ext. 5185). O’Neill said PDA, which boasts seven soccer fields at its main complex, and at least five fields at its satellite location, wants all of its coaches to be trained in CPR and AED use and also wants to increase the number of AEDs at its venues. 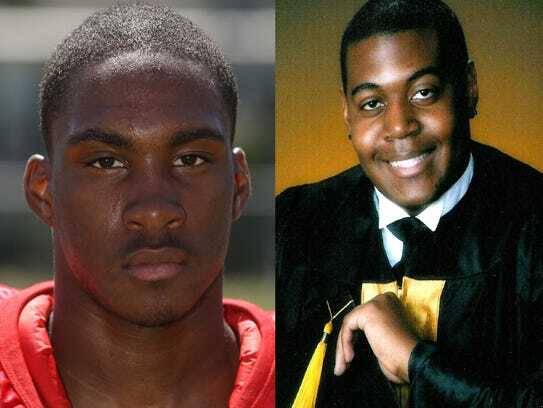 Over the last decade, three teenagers from Middlesex County — Kittim Sherrod of Edison, Brandon James of South Brunswick and Patrick Awosogba of East Brunswick — died after going into sudden cardiac arrest during an athletic activity. 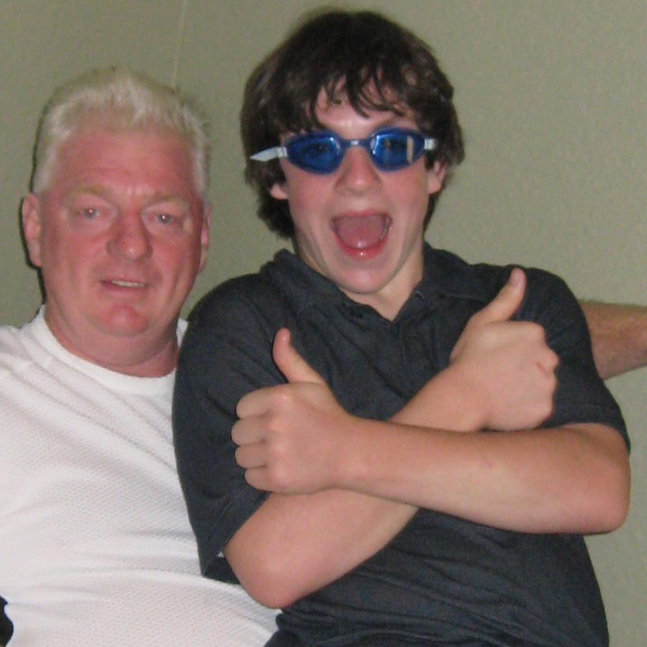 All had hypertrophic cardiomyopathy, the same undetected cardiac defect that claimed Sean Fisher’s life. None of the student-athletes complained of symptoms such as chest pain, lightheadedness, palpitations or dizziness that are associated with cardiac abnormalities, thus there was no impetus for them to be screened. “I know there’s been a huge push to have EKG and echocardiograms mandated as screening tools, but the reality is the healthcare dollars won’t support that legislation to ever pass,” Kumar said. “In my opinion, the other thing is that (cardiac screenings) may give people a false sense of security because there are athletes that have cardiac issues that may not be detected by those screening tools. So, the key is how we respond. A basketball player from Colonia who collapsed after going into sudden cardiac arrest on the court during a freshman game at Edison High School two years ago survived through the lifesaving efforts of staff from both high schools who defibrillated the teenager. 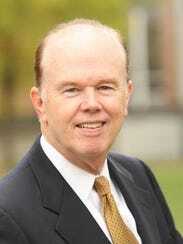 State Sen. Patrick J. Diegnan, Jr., who introduced the bill that was signed into law in 2012 requiring that AEDs be in schools and that districts statewide share information with their students about sudden cardiac death in young athletes, praised Fisher and PDA for their efforts at the youth level. Even in his tragic death, Sean Fisher — whose father is determined to inform an entire nation of youth league coaches about the All Heart program — is still making an impact on the lives of others. 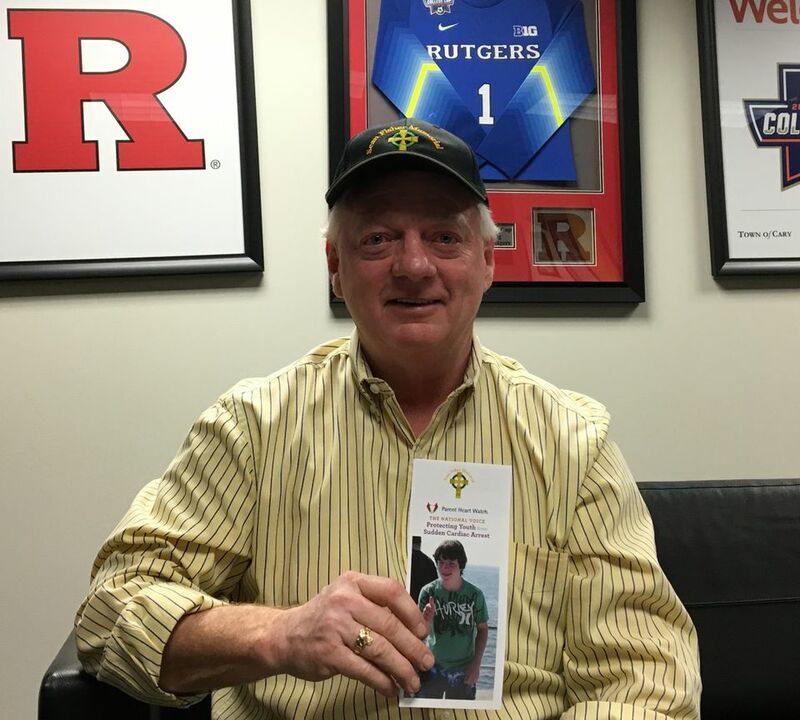 James Fisher arrived for a recent meeting inside the Rutgers University women’s soccer office, greeted Scarlet Knights coach Mike O’Neill with a hug, and pulled out a pamphlet with his son’s picture on it. Fisher recalled dropping off his son, Sean, for a recreational-league football practice on Aug. 25, 2008. It was Sean’s 13th birthday. Fifteen minutes into warmups, Sean collapsed on the field. He was a victim of an undetected heart condition known as hypertrophic cardiomyopathy. 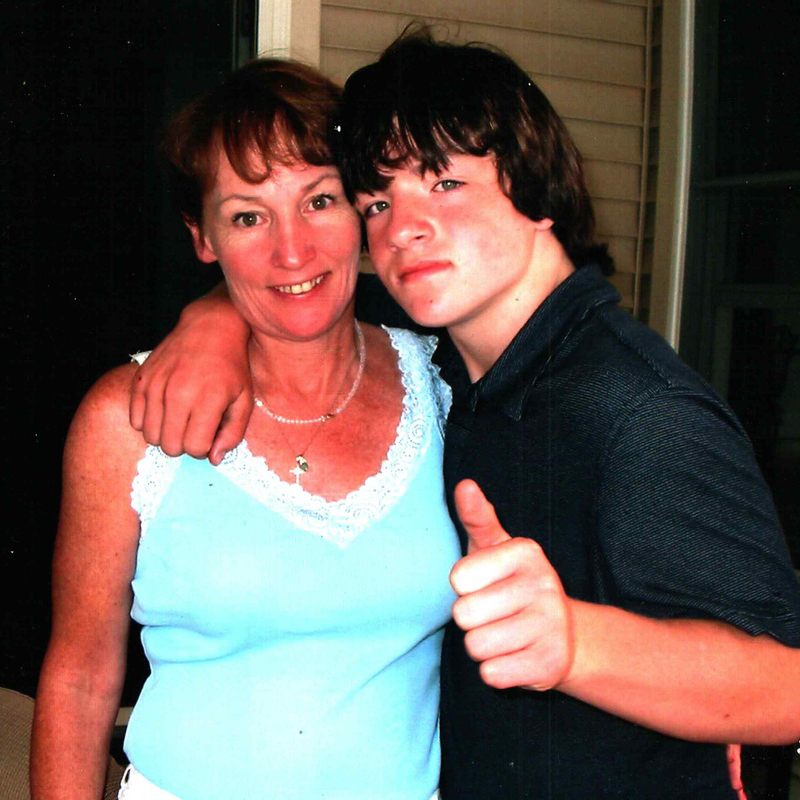 In the 9 1/2 years since the death of his only child, James Fisher has devoted his life to providing free screenings to rising high school freshmen in Bergen County through the Sean Fisher Memorial Foundation. Although it’s been nearly a decade since his son’s passing, Fisher struggles to speak about it. Last August, a Bronx 14-year old high school football player named Dominick Bess died during a football practice and Fisher was interviewed by a New York television station. O’Neill, the highly successful coach of the Rutgers women’s soccer program, is a longtime friend of Fisher from their days growing up in Kearny. He saw the video and emailed the link to a Saint Peter’s University Hospital cardiologist who has worked with his Rutgers women’s soccer program on other charitable causes. 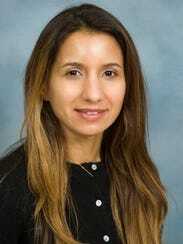 In the months that followed, Dr. Nidhi Kumar, the Director of Women’s Health at Saint Peter’s University Hospital, met with a group that included Fisher, O’Neill and two coaches — Gerry McKeown and Thomas Anderson — from a Somerset-based youth soccer club called the Player Development Academy (PDA). Their meetings centered on the recent sudden-cardiac deaths of scholastic athletes. The result, Kumar said, is an “All Heart” program designed to educate the youth-athletic community on sudden cardiac death in athletes, to improve the safety of players through training coaches in cardiopulmonary resuscitation (CPR) and the use of automated external defibrillators (AED), and to raise national awareness in all sports communities. 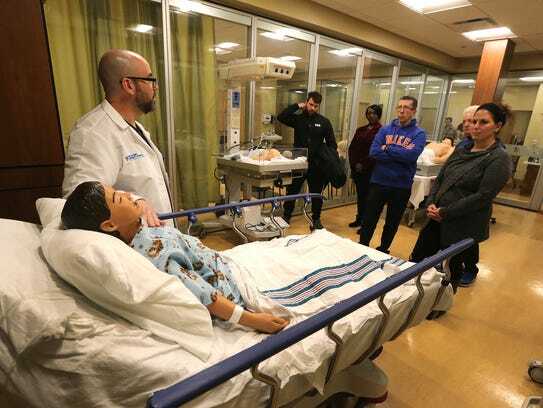 The first phase of the program will begin in January, when 60 soccer coaches from PDA will learn CPR in a medical-simulation lab at Saint Peter’s University Hospital. 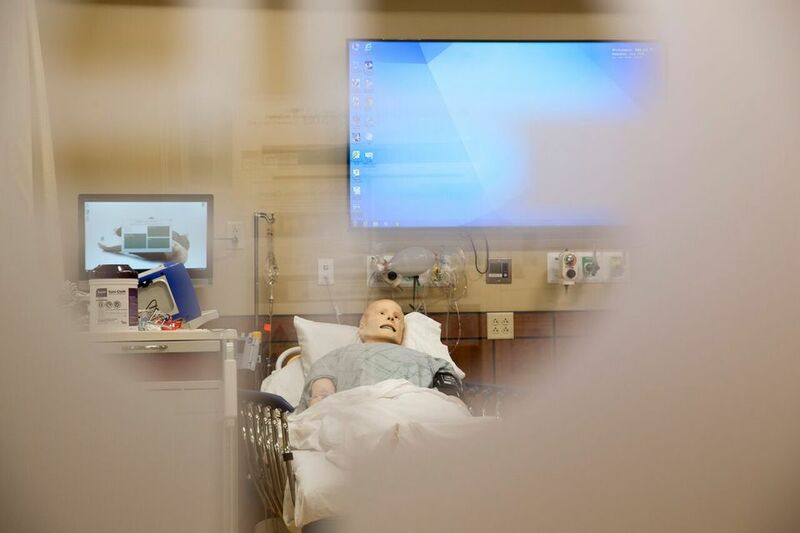 The sim-lab technology, Kumar said, will enable coaches to train in potential medical-emergency situations encountered on the field. Kumar is encouraging other youth-level coaches in various sports to participate in the program. 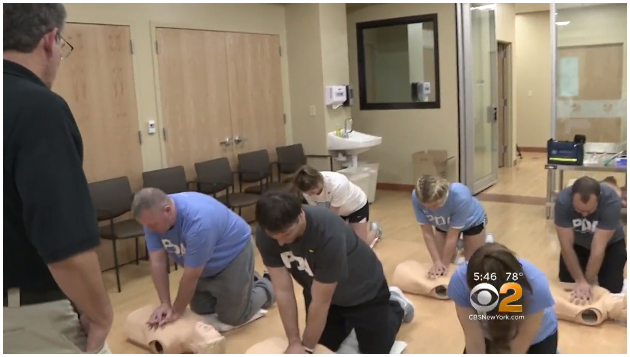 For a $100 registration fee, coaches can gain both didactic and hands-on CPR/AED training, Basic Life Support testing and American Heart Association Basic Life Support Certification. 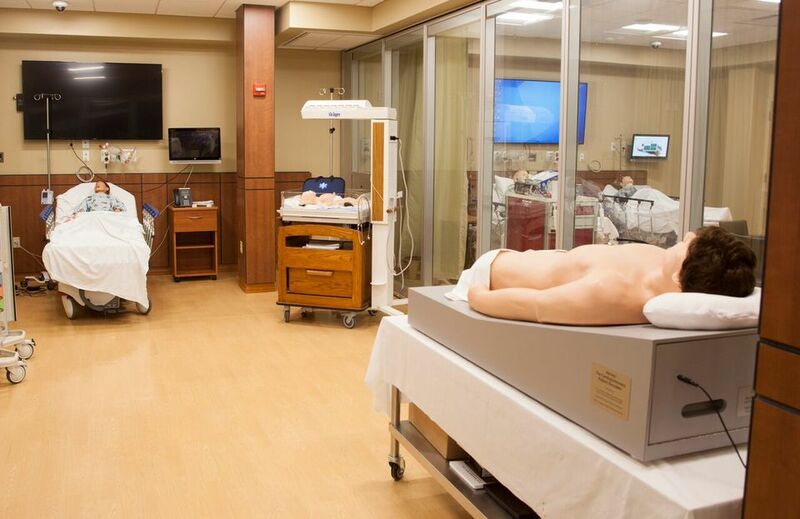 To register for the four-hour training session at Saint Peter’s University Hospital SIM Lab, coaches can contact Cheryl Saffer at 732-745-8600 (Ext. : 5887) or email csaffer@saintpetersuh.com. “The incidents of sudden cardiac deaths in youth sports right now is considered to be 1 in 200,000,” Kumar said. “That being said, in our area alone we had two young athletes die this fall. No symptoms or signs, they went into cardiac arrest at a practice and died. New Jersey has been at the forefront of mandating cardiac screenings and implementing measures to prevent sudden cardiac arrest in high school sports. In 2012, New Jersey lawmakers implemented Janet’s Law, which requires that all public and private K-12 schools in the state have an emergency-action plan for sudden cardiac arrest and to have an AED within approximately 90 seconds of the athletic field or gym. The following year Gov. Chris Christie signed the Scholastic Student-Athlete Safety Act, a law that includes a pre-participation physical evaluation form and a mandate for parents to sign an educational pamphlet that explains the symptoms of sudden cardiac arrest. Fisher, who is on the board of Parent Heart Watch, a non-profit organization that serves as a national voice for protecting youth athletes from sudden cardiac arrest, said his goal is to get a law passed requiring parents to sign questionnaires on their child’s heart history at the point of signups for their youth leagues throughout the state. But Kumar said questionnaires and cardiac screenings aren’t enough. Kumar said studies of past incidents show “it’s all about minutes” when it comes to saving a life in sudden cardiac arrests. While she stressed the need for people to call 911 immediately at the first sign of an athlete collapsing because of an apparent heart issue, Kumar said: “The problem with the ambulance is there’s traffic and you’re losing minutes. In a college basketball game against North Carolina State on Saturday, South Carolina State guard Tyvoris Soloman’s heart reportedly stopped and he collapsed on the court. Solomon was resuscitated by a South Carolina State athletic trainer and emergency medical personnel used an AED to revive the 5-foot-10 guard. Solomon survived and is reportedly is undergoing a battery of tests to discover the cause for his heart attack. Fisher said it’s incidents like this one that proves athletes who go into sudden cardiac arrest can be revived if there are quick-acting coaches with an AED close to the playing fields. His son didn’t have that chance. According to an Aug. 26, 2008, report in The Star-Ledger, a parent who was a certified EMT ran onto the field, pulled off Sean’s helmet and administered CPR. 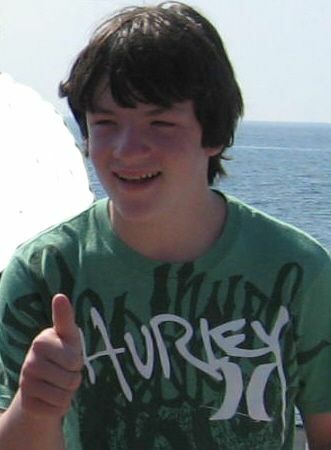 Authorities said paramedics later used a defibrillator, but Sean was pronounced dead at a Bergen County hospital. His organization donates AEDs to various youth leagues throughout the country. He points to PDA, which is equipping its Somerset-based facility and practice fields with multiple AEDs as what he hopes will be the standard for club teams throughout the state. On the day of his meeting with Fisher at Rutgers, O’Neill received an email from a coach at PDA, Jeremy Beardsley, who coined the “All Heart” title for the program. O’Neill, who has compiled a 57-18-15 record and led Rutgers to four straight NCAA Tournaments since taking over the women’s soccer program in 2014, said the All Heart Program is “personal” to him because of Fisher. 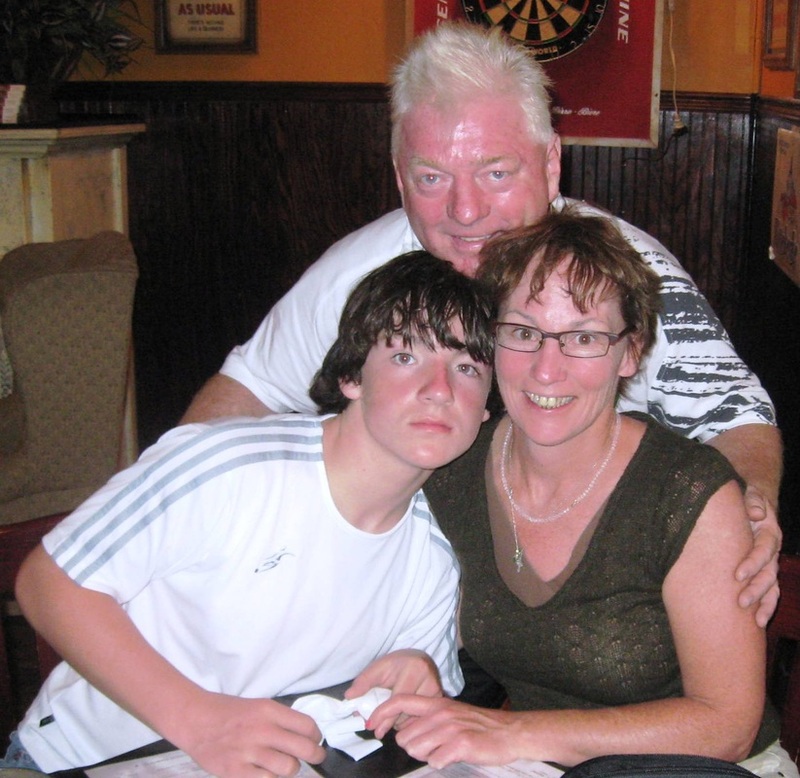 “I watch him cry and it has an impact on me,” said O’Neill, who is quick to credit Gerry McKeown, the PDA boys soccer director and director of the U.S. Club Soccer boys program, for his assistance to the All Hearts cause. Clinging to his son’s picture, Fisher smiled at O’Neill’s words. “It’s all about trying to prevent it from happening again,” he said. 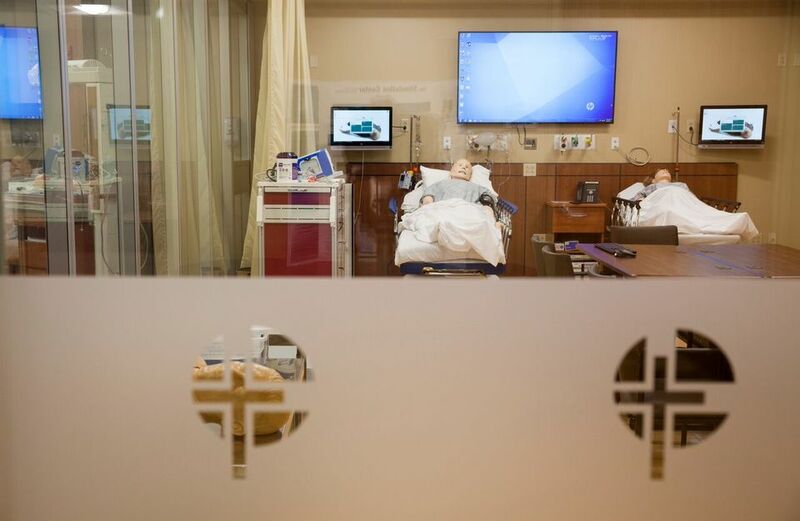 The Saint Peter’s University Hospital Simulation Lab enables coaches to train in medical emergencies with the use of CPR and AED devices. 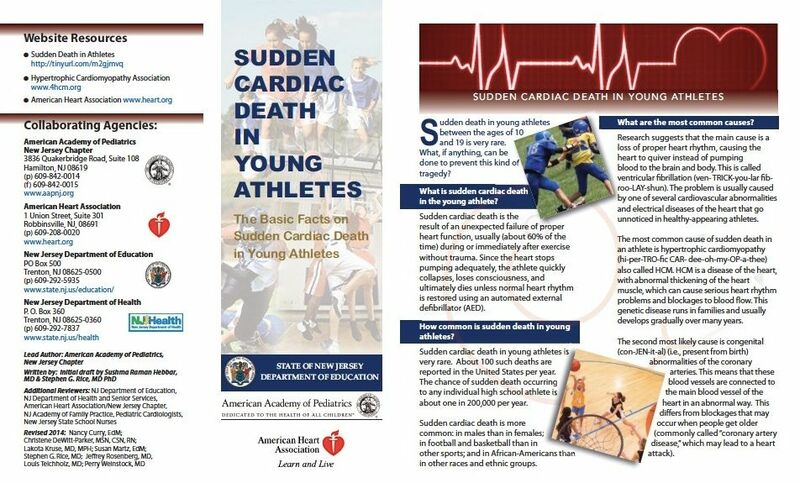 A pamphlet produced by the American Heart Association on the basic facts behind sudden cardiac deaths in youth athletes. Click here to download the pamplet.